I’m 2 days late but I have an excuse. 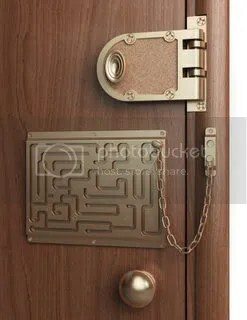 I’ve never been one for April Fool’s Day pranks and the like, but I found this door chain designed as an April Fool’s gift on ThinkGeek. I guess you could say leaving home for work every day would be a bit of a daunting task.